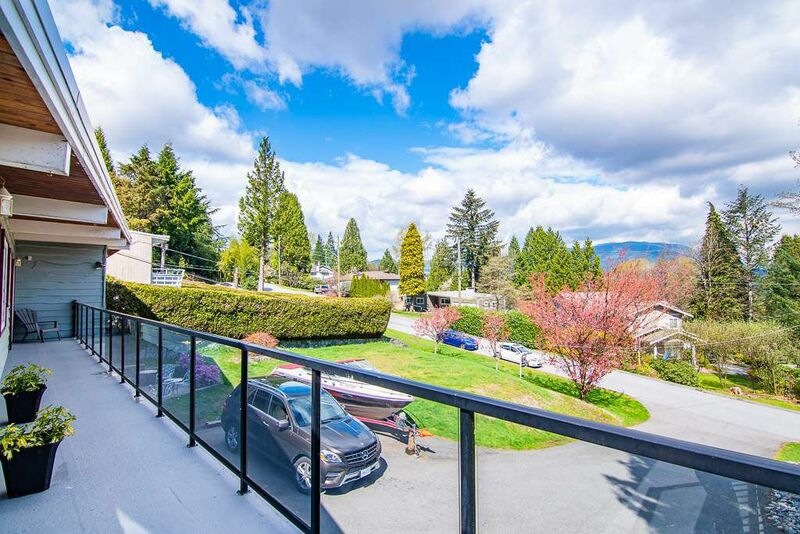 STUNNING Mountain views from this spacious home sitting on almost half an acre of private land. Legal suite with 3 bedrooms & 2 bathrooms, separate laundry, & 2 patios, one off master. Upstairs vaulted ceiling in living room, 3 bright bedrooms with new carpets, 2 bathrooms. Beautiful original hardwood recently refinished, huge, bright family room. Airtight fireplaces up & down. 3 car garage, loads of storage, brand new roof (Jan. 2019) with 20 year warranty. Long driveway with 2 extra spaces for boat & RV. Wraparound deck with views out the front and space to entertain. AC/Heat exchange; newer furnace & hot water tank. Safe, quiet street & neighborhood; great neighbors. 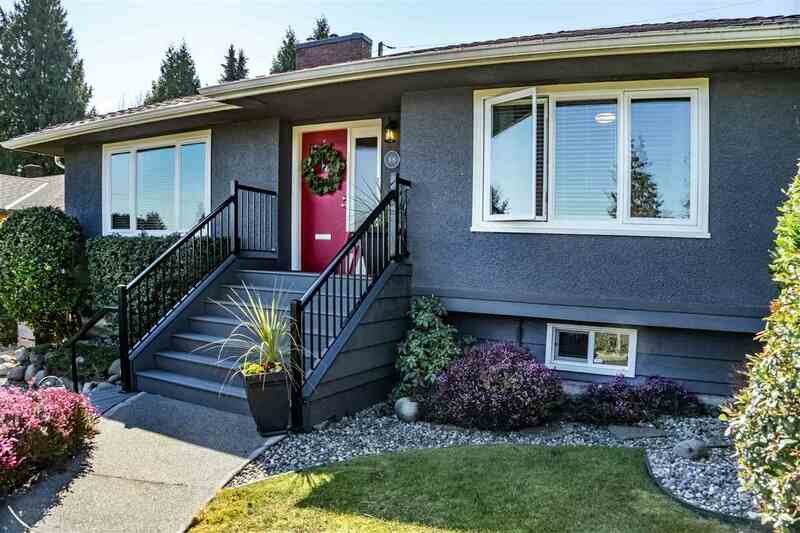 Close to all levels of excellent schools, Westcoast Express, Skytrain & shopping centers. This home is priced to sell- below assessed value!